A nice simple yet detail kit, This looks to be a nice easy and enjoyable build. Looking for something a little different, I highly recommend this cutting edge aircraft from Platz. What’s in a name? In the RAAF and USAF we call them Remotely Piloted Aircraft (RPA), as they are still controlled by qualified aircrew. Other nations, Unmanned Aerial Vehicle (UAV) or just plain Drones. Either way these aircraft that were once part of Sci-Fi are now an everyday reality in the modern battle space. 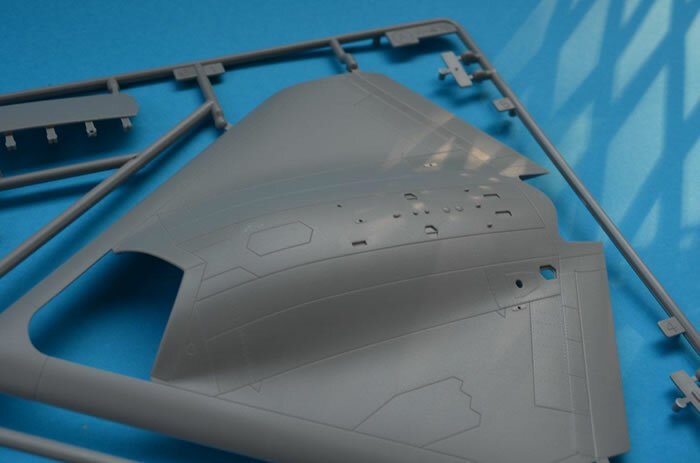 The Northrop Grumman X-47B Unmanned Combat Air Vehicle (UCAV, first flew in 2011) is the next step in the UAV evolution. The X-47B is an Unmanned Combat Air System Demonstration (UCAS-D) long range naval strike aircraft that aims to create a carrier-based unmanned aircraft. There are two current aircraft (AV1 and AV2) in a flight test program with carrier and air-air refuelling milestones scheduled for 2013/14. 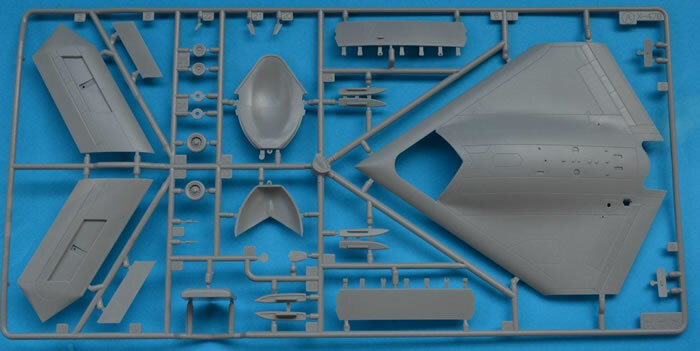 Platz presents this kit in a lovely box with some eye catching artwork displaying the aesthetic lines of the X-47B tailless wing-form over a carrier. 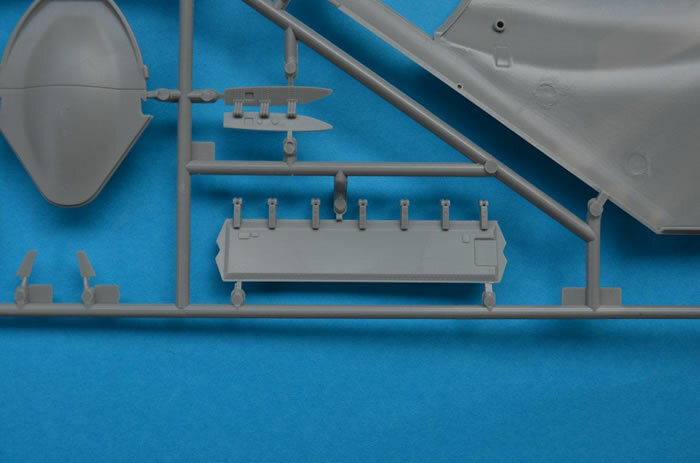 The parts are suppled on two gray sprues with probably as many decals are there are plastic parts. The plastic and decal detail is nice and crisp in all aspects. 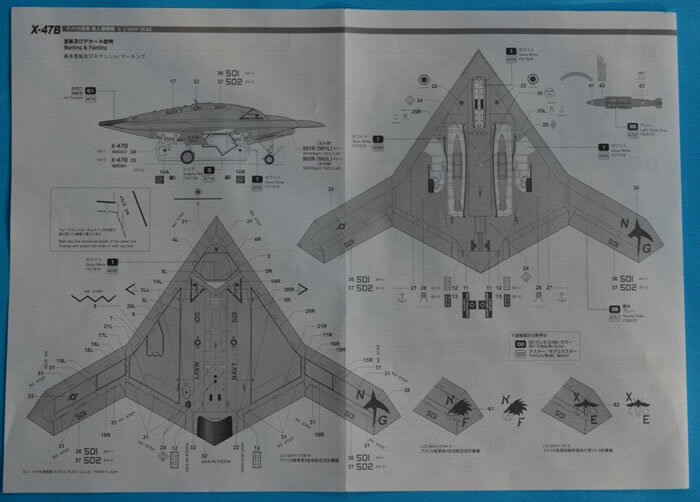 With any construction research is always the key however, be careful, there are lots of mock up images of X-47B’s that differ in detail from the two current flying aircraft. I was caught out a few times. 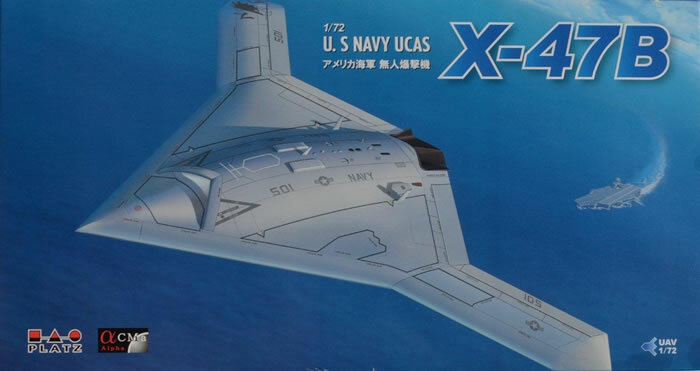 Unmanned = no cockpit or canopy to paint and mask. 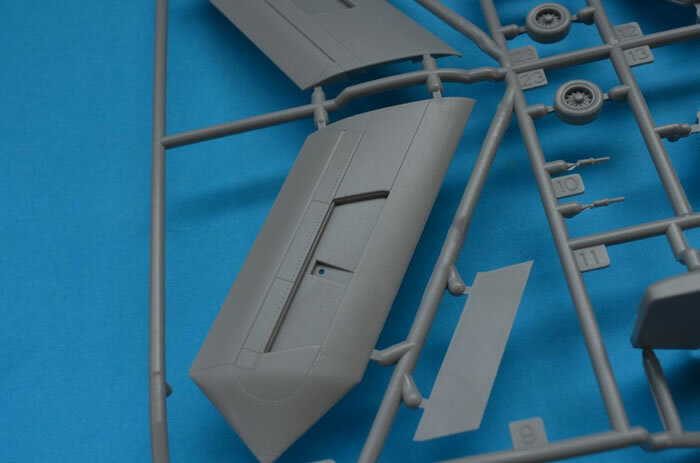 This is a very simple kit and for a change construction begins with the engine intake. 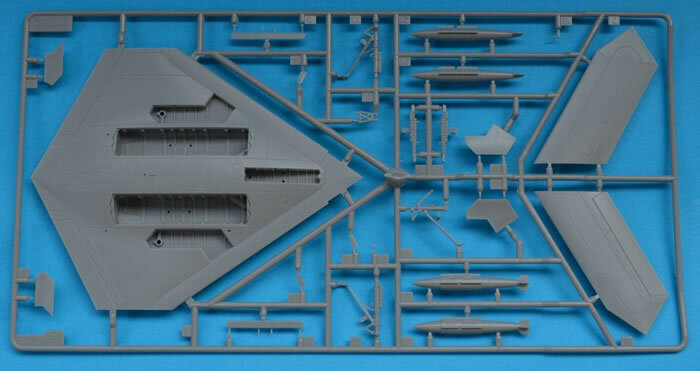 Then the fuselage is closed up, JDAMs inserted into the weapons bay, landing gear and associated doors next. Attached to the diamond shaped fuselage are the wings which can be attached extended or folded spoilers open/closed, this is a Naval aircraft. That is it for the construction; this is a very simple kit you can have fun with. Platz has engineered the kit to be built with everything hanging out; if you do wish a clean build inflight, some clean-up work will be required. I hope you like gray. Since this is a demonstrator, Platz not only provide you with decals (printed by Cartograf of Italy) for AV1 (501) and AV2 (502) but some “what if” fleet markings. U.S. Navy CVW-9, CVW-5, and VX-9. One point that I really like about the Platz marking and painting guide is the way that the decals, with their orientation, are displayed to assist with accurate placement. I wish this was the standard that others would adopt. 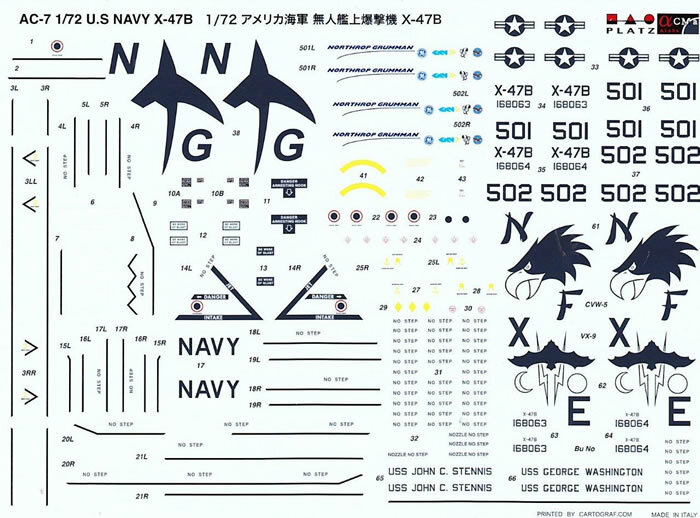 Another decal option, you could rummage through the spares box and come up with your own, ummm Diamondbacks F/A-18F replacement maybe? The X-47B is a very attractive modern jet aircraft, minus the cockpit. 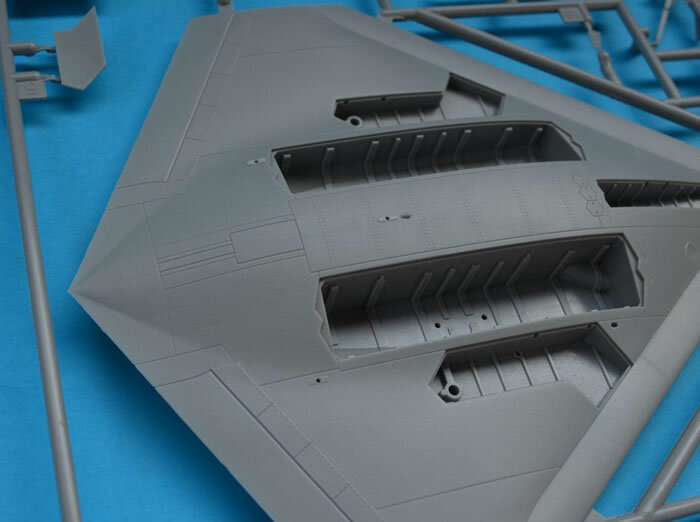 This will make for a nice quick build, so if your Mojo (I’m talking self-confidence WRT modelling) is low, I can highly recommend giving the Platz X-47B a go. Thanks to Platz for the review sample.